Untargeted metabolomics attempts to acquire a comprehensive and reproducible set of small-molecule metabolites in biological systems. However, metabolite extraction method significantly affects the quality of metabolomics data. 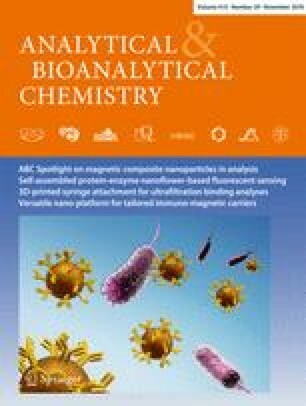 In the present study, we calculated the number of peaks (NP) and coefficient of variation (CV) to reflect metabolome coverage and reproducibility in untargeted NMR-based metabolic profiling of tissue samples in rats under different methanol/chloroform/water (MCW) extraction conditions. Different MCW extractions expectedly generated diverse characteristics of metabolome. Moreover, the classic MCW method revealed tissue-specific differences in the NP and CV values. To obtain high-quality metabolomics data, therefore, we used mixture design methods to optimize the MCW extraction strategy by maximizing the NP value and minimizing the CV value in each tissue sample. Results show that the optimal formulations of MCW extraction were 2:2:8 (ml/mg tissue) for brain sample, 2:4:6 (ml/mg tissue) for heart sample, 1.3:2:8.7 (ml/mg tissue) for liver sample, 4:2:6 (ml/mg tissue) for kidney sample, 2:3:7 (ml/mg tissue) for muscle sample, and 2:4:6 (ml/mg tissue) for pancreas sample. Therefore, these findings demonstrate that different tissue samples need a specific optimal extraction condition for balancing metabolome coverage and reproducibility in the untargeted metabolomics study. Mixture design method is an effective tool to optimize metabolite extraction strategy for tissue samples. The online version of this article ( https://doi.org/10.1007/s00216-018-1396-9) contains supplementary material, which is available to authorized users. The Laboratory Animal Center of Wenzhou Medical University is acknowledged for technical services. HCG and HZ contributed to the experimental design. ZTN, AMC, XZ, JXC, and QX contributed to the sample collection and NMR metabolomics analysis. HZ and HCG contributed to the data analysis, result interpretation, and writing. All authors have read, revised, and approved the final manuscript. This study was supported by the National Natural Science Foundation of China (Nos. 21605115, 81771386, and 21575105) and the Public Welfare Technology Application Research Foundation of Zhejiang Province (No. 2017C33066). All procedures performed in this study were in accordance with the Guide for the Care and Use of Laboratory Animals and approved by the Institutional Animal Care and Use Committee of Wenzhou Medical University.